We may live in a digital world but if your house is anything like mine, you are still drowning in paper clutter. Whether it's bills, receipts, or kids' artwork, piles of paper seem to multiply overnight. Keeping the paper clutter under control is one of the easiest things you can do to keep your house organized. I try to deal with everything as it comes through the door: recycle the junk immediately, sort out the mail, and clear out the kids' backpacks every day. But I needed a place to organize the papers that I want to keep and that would look good in my house too. I created this DIY wall organizer to hold our important papers and it's the perfect solution for our paper clutter. It was super simple to make with just a few supplies and it looks awesome too! 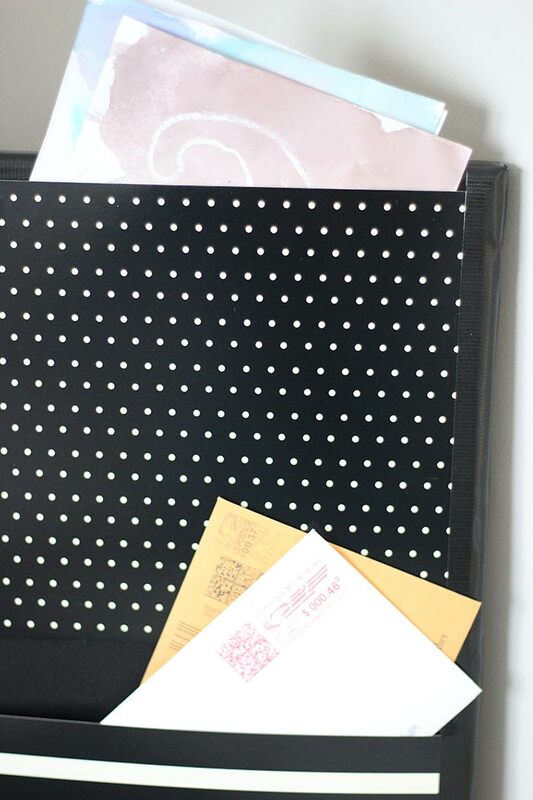 Want to make your own DIY wall organizer and finally stop the paper clutter for good? Keep reading to see how it's done. 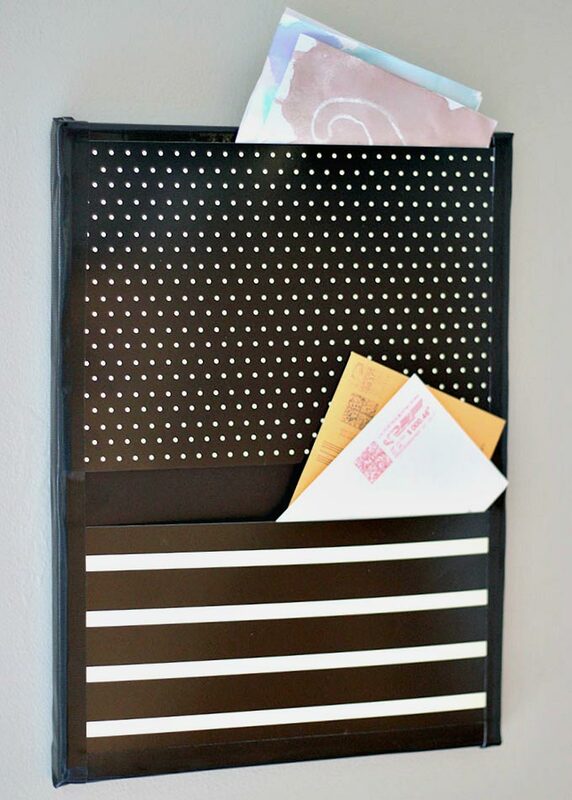 This wall organizer is so simple to make - it takes about 10 minutes with just a few inexpensive supplies. 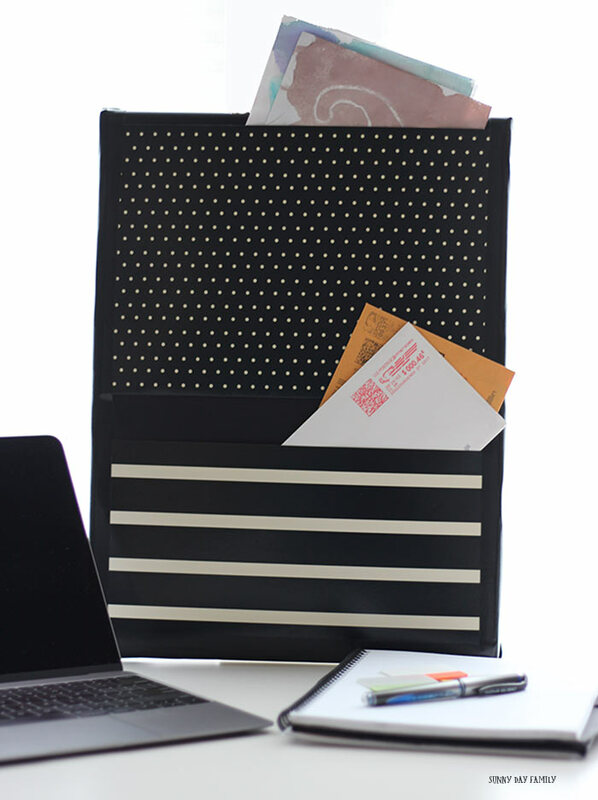 You can customize the look for your decor, and make as many as you need to create your perfect organizing system! 12x16 Stretched Canvas. You can find these at any craft store. 2 Letter Size File Folders. I choose coordinating black and cream designs, but you can use any style that fits your decor. Gorilla Tape. I picked ours up at Home Depot. If you're using two different folders, start by choosing which will be on the top and which will be on the bottom. Trim the front only of your bottom folder to 6 inches high. I use a paper cutter for this but if you are able to cut very straight you can use scissors. Lay your canvas flat on your workspace, and align the bottom folder to the bottom of your canvas. 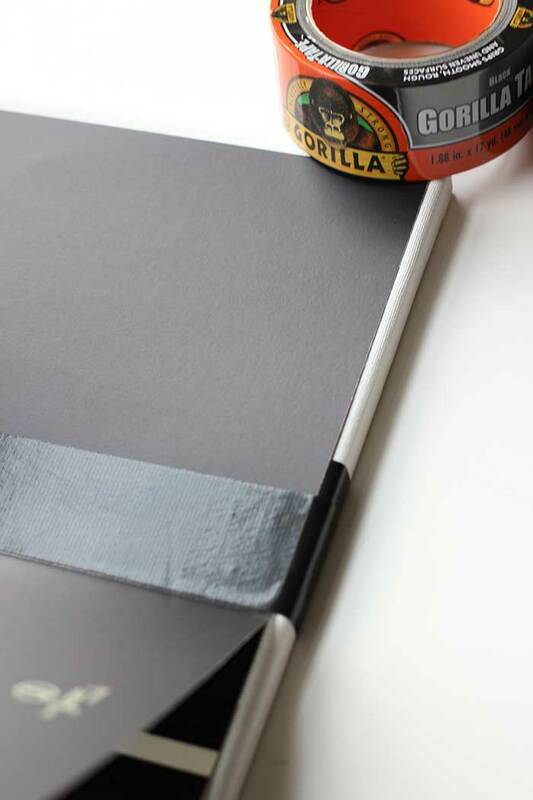 Tape down the top of the folder's back using your Gorilla Tape. The Gorilla Tape is the superstar of this project. 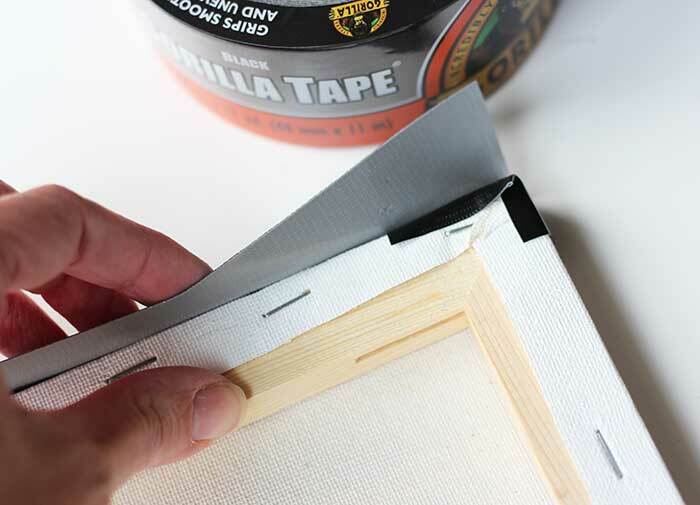 Gorilla Tape is 3X stronger (compared to a leading value brand duct tape) for a hold that lasts. 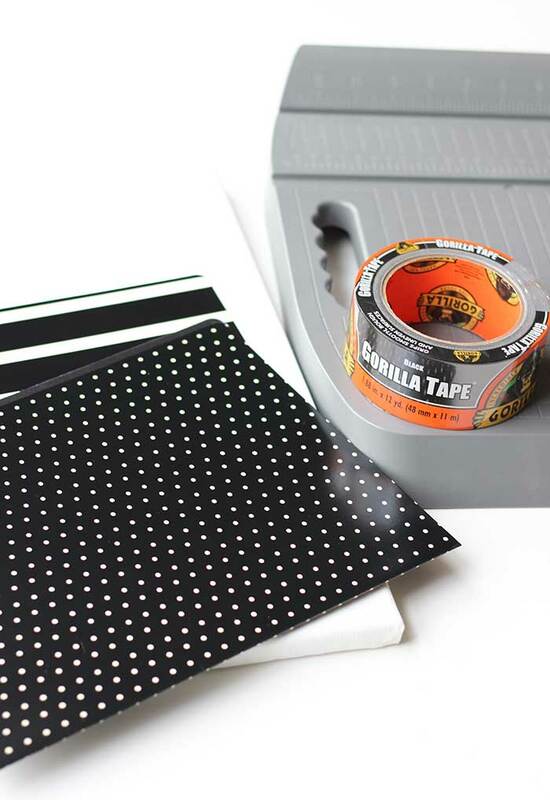 Made with double-thick adhesive, strong reinforced backing, and a tough all-weather shell, this duct tape is great for projects and repairs both indoors and out. Gorilla Tape is super thick which makes it really easy to work with. You can still tear it easily, but it lays down flat and holds tight. It looks great too! I wouldn't trust anything else for this organizer which I know is going to get a lot of use every day. Once your bottom folder is in place, take your top folder and trim both front and back to 8 inches high. Place it on your canvas so that the top edge aligns with the top of the canvas. Open it to be flat, and use a strip of Gorilla Tape to secure the back of the folder to the canvas. 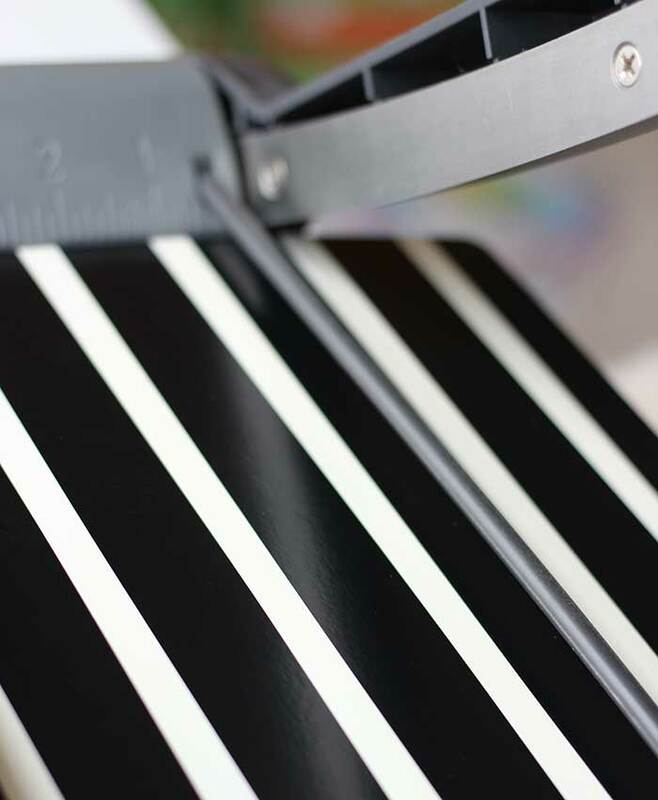 Use another strip of tape to adhere the top of the folder to the top of the canvas (make sure the folder is still open so you don't tape it closed!). Be sure to wrap the tape around the top of the canvas for a secure hold and a clean line. Then you can close the front of the folder. Repeat this step with the bottom of the canvas too. Then use a strip of Gorilla Tape on each side to seal the folders closed. This creates your pockets and finishes your organizer nicely. That's it! 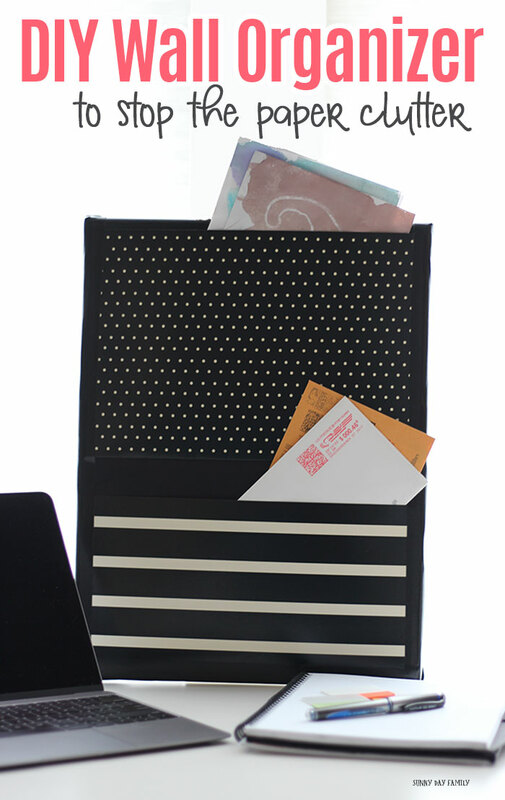 Your new organizer is ready to sort and hold all your important papers. And since it's secured with Gorilla Tape, you know it is super strong and ready to hold anything. You can easily hang your organizer on the wall with a simple hook. 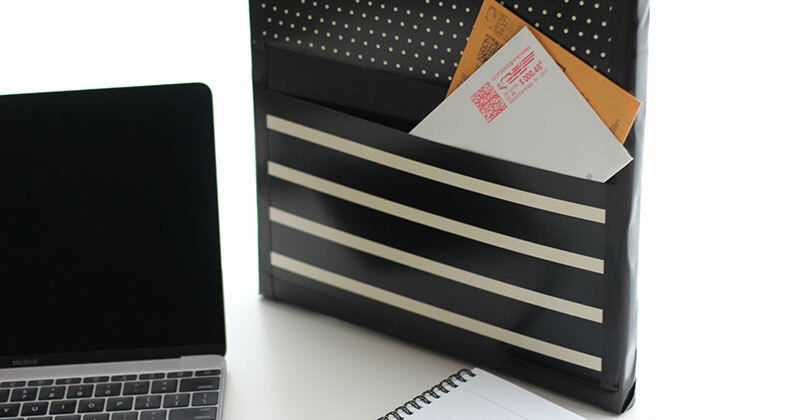 Use it at your desk to hold important papers that need your attention or bills that need to be paid. 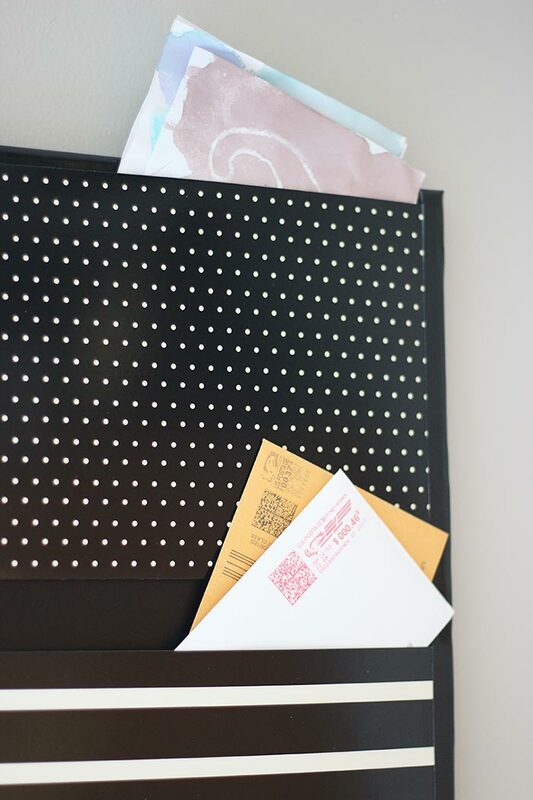 You can also hang it in the playroom to store kids' artwork, or in your family command center to manage mail and school papers as they come in. Make as many sets as you need to create your perfect system! I'm totally in love with this wall organizer. 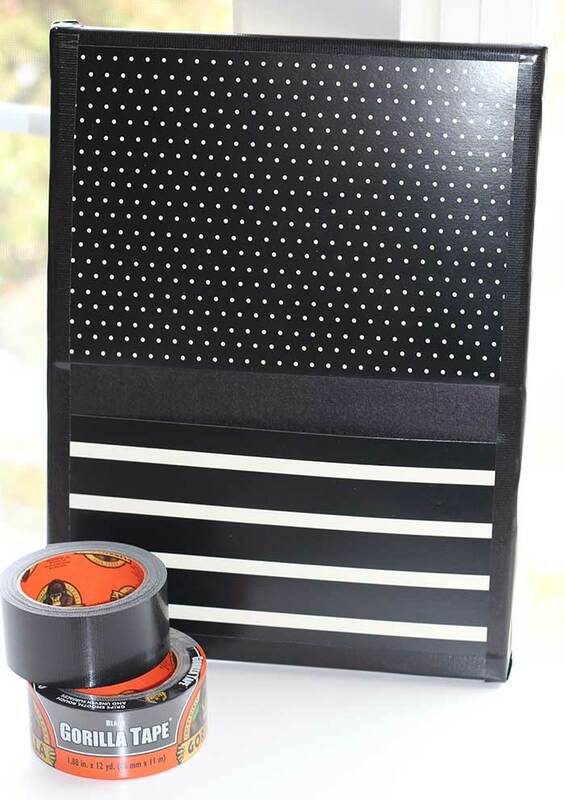 It was super easy, looks great, and helps keep papers from piling up on my kitchen counter. Total mom win! 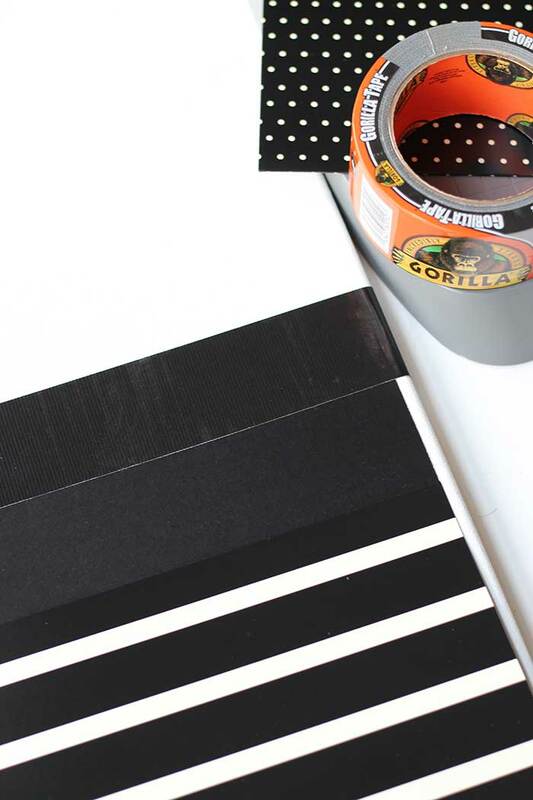 Want to win a $250 Home Depot gift card from our friends at Gorilla Tape? Enter below and start planning all your DIY projects!